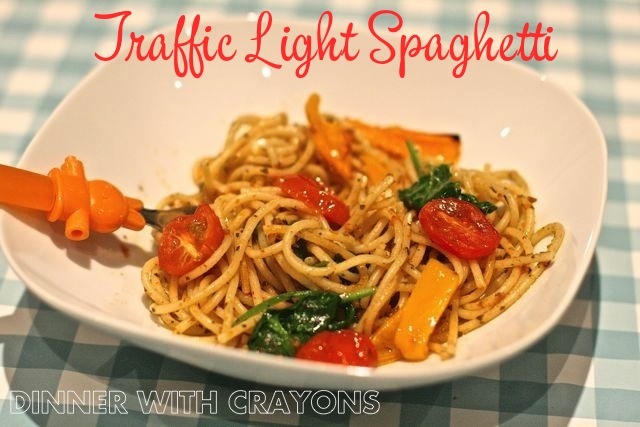 Three vegetables in red, amber and green make this kid friendly traffic light spaghetti supper. It always amuses me how a whimsical name can turn a dish into child friendly feast. 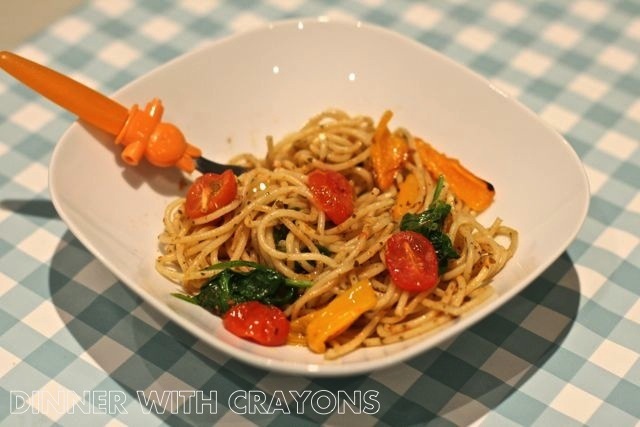 I have called this traffic light pasta purely because it features a red, amber and green vegetable but the entertainment factor for Ted saying it was pasta with traffic lights was too much to resist. You could use jarred sundried tomato paste although here I have liquidised the ones in oil together with some basil. Toss into some cooked spaghetti. 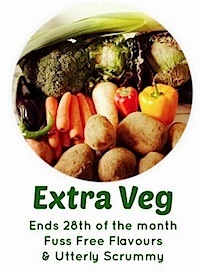 Steam your spinach – preferably kid friendly little dinky leaves. And roast some tomatoes and peppers. 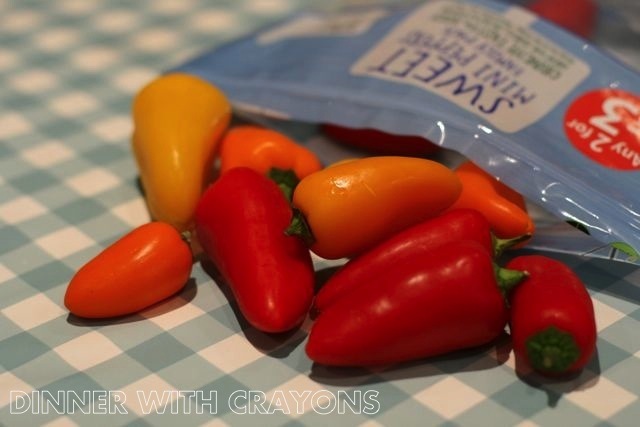 I used these colourful mini ones in a bag from Tesco. Mix it all together and ta-dah, traffic light pasta. 1. 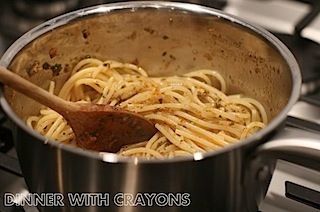 Boil the spaghetti in a large saucepan according to pack instructions. Preheat the oven to 200c / gas 6. 2. 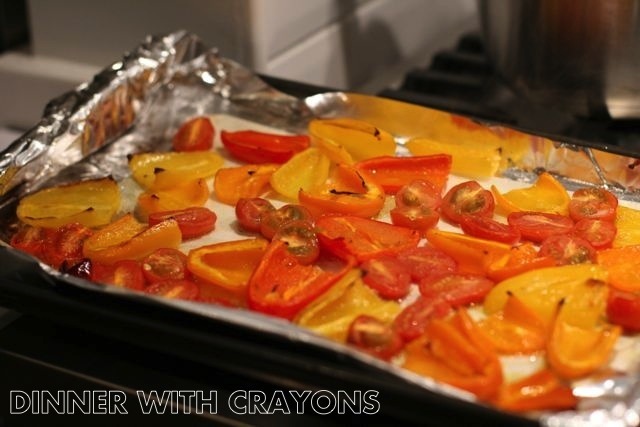 Arrange the tomato halves and pepper slices on a baking sheet lined with parchment paper. Drizzle with olive oil and roast lightly for 15 minutes. 3. 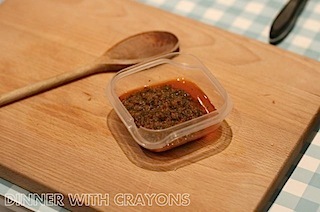 Using a stick blender, briefly blitz the sundried tomatoes in oil with the basil and set aside. 4. 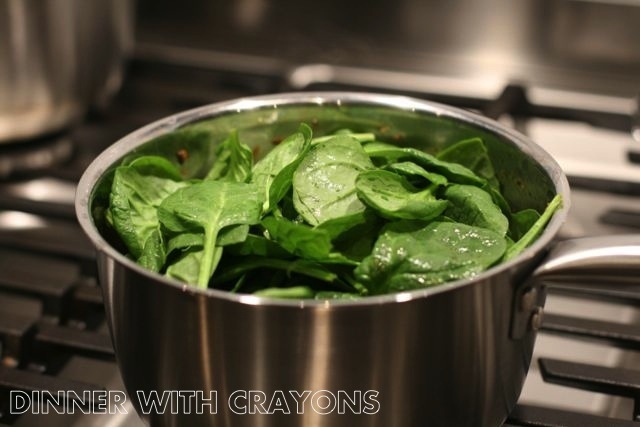 Steam the spinach – I microwave mine in a plastic microwave saucepan. 5. When the pasta is cooked, stir in the sundries tomato and basil mix. Add in the roasted peppers and tomatoes and the cooked spinach. Toss the vegetables through and serve. 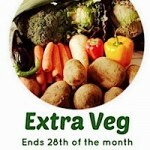 To add protein to this dish you could grate over some cheese or add some chunks of cooked ham. 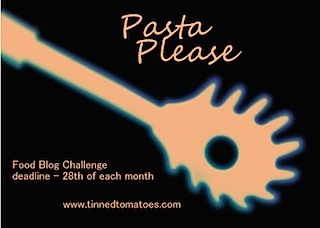 I am entering this tomato ingrediented pasta dish into this month’s tomato themed Pasta Please organised by Jac Tinned Tomatoes and this month hosted by Michelle at Utterly Scrummy – and also her event Extra Veg hosted alongside Helen at Fuss Free Flavours. 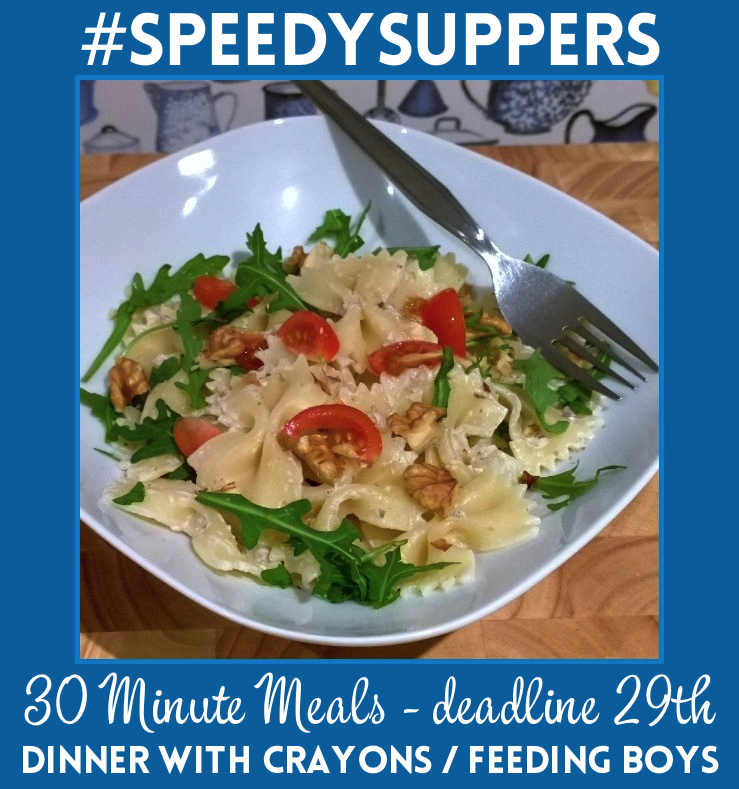 It’s also definitely a Speedy Supper for my new event alongside Katie (hosting this month) for main meals ready in under 30 minutes. 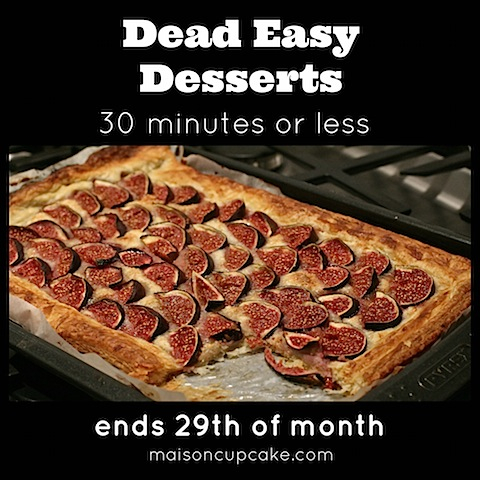 Don’t forget also if you have a pud ready in similarly speedy time you can enter it into Dead Easy Desserts. Wizzanga! Sounds like something the Teenage Mutant Ninja Turtles might have said! !